This is one of several pages of vintage images for the image category Free Kitchen Images. 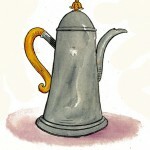 Vintage, public domain coffee pot clip art image. 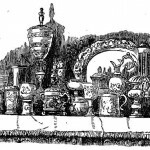 Vintage drawing of a table of tankards and goblets.